One of the texts I remember with clarity from my secondary school English Literature class is a piece of writing which narrated the process of foot-binding. Almost two decades later, I was intrigued to hear that there was a photography exhibition taking place at Cafe Zarah about this very topic. The foot-binding procedure involved breaking a young girl’s toes, folding them back on themselves so that they laid flat against the sole of the foot, and then wrapping the feet in bandages. These strips of long cloth were periodically tightened to mold the feet into the desired form. Meanwhile, the arch of the foot was broken as it was gradually folded inwards so that the toes of the foot made contact with the heel of the foot. This process, which inhibited the feet from growing as they ordinarily would have, was extremely effective at achieving its aim. However, the tenacious pursuit of small feet also resulted in severe deformity, reduced mobility, and pain that continued long into adulthood. It is easy to project a modern day, progressive attitude onto history and wonder just how this extreme practice was able to continue for as long as it did. 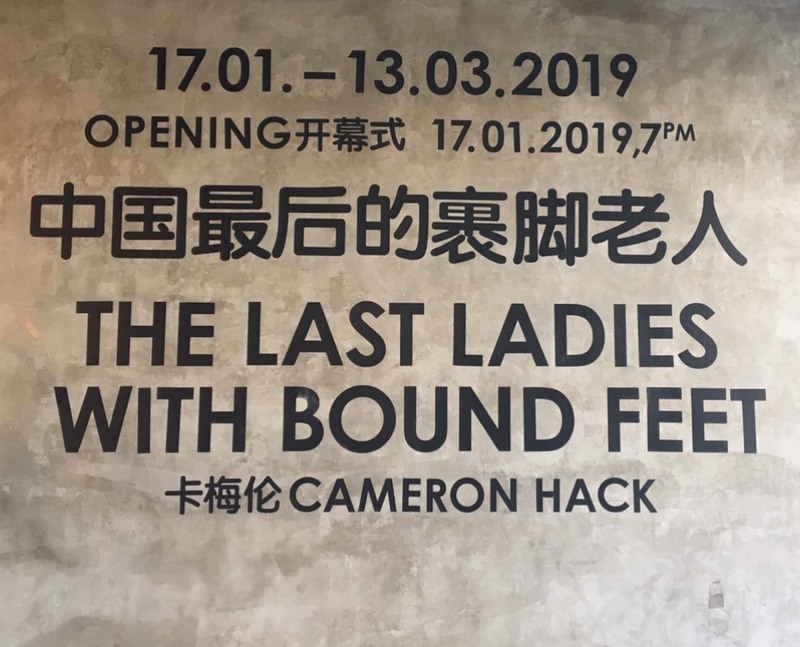 The stories that feature in Cameron Hack’s exhibition reveal that the perpetrators of the foot-binding (usually a girl’s mother) genuinely believed that they were acting in the child’s best interest. During the period when this custom was in vogue, the consensus was that unless a woman had small feet, she would not be eligible for marriage. A 3-inch foot was regarded as the epitome of beauty. This was an era when marriage was often viewed as a ticket to a better future. Hence, it becomes clear why, despite all that was at stake, so many went along with this excruciating tradition. History is littered with examples that demonstrate that females that hail from the west are not exempt from the trend of being subjected to pain in the name of beauty. Thus, it is not difficult to see why the desire for a small foot in ancient China has been likened to the desire for a small waist in Victorian England. During the 18th and 19th century, women routinely donned restricting corsets in an attempt to achieve the coveted hourglass figure. The long term wearing of these corsets misaligned a woman’s internal organs and significantly altered her skeleton. 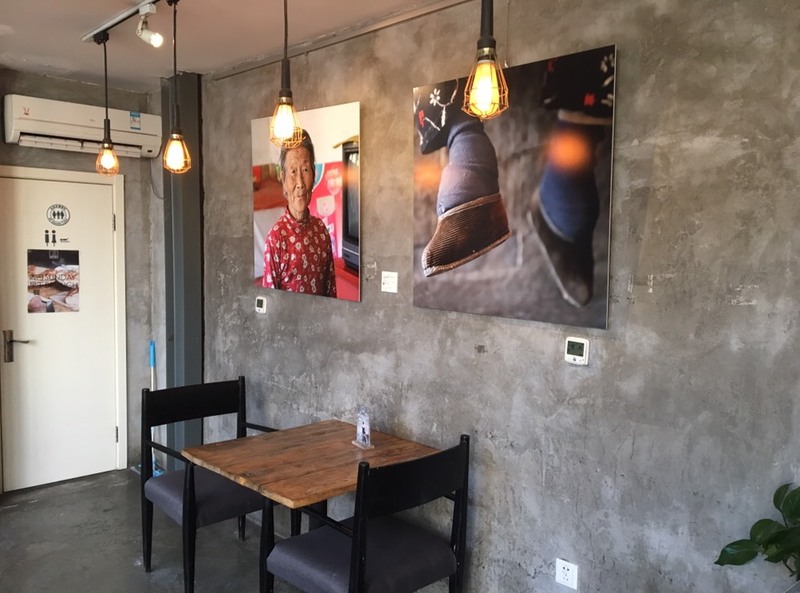 This exhibition is creatively put together with large, vibrant photos adorning the walls of the popular Gulou-based eatery. 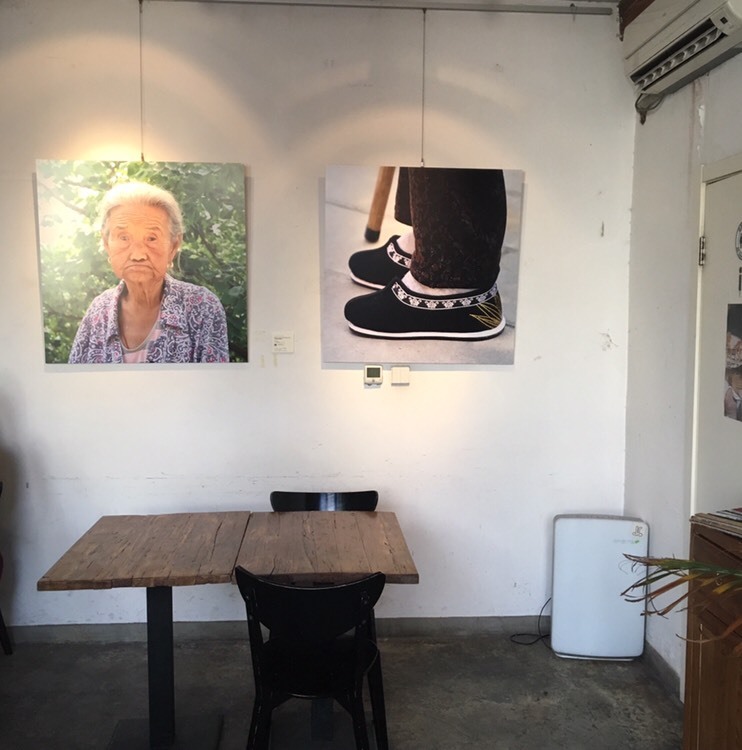 Each photo hangs beside a small card on which is printed the age of the woman photographed and a QR code which visitors can scan to gain access to the story of that contributor. This is a great exhibition to take young people to. The exhibition handles a pertinent topic in a sensitive way. The in-depth narratives add a human face to a subject that is not often spoken about. Despite the painful experiences, there is a positive and uplifting note to many of the stories. This exhibition is thought-provoking, and a visit here can easily be used as a springboard for self-reflection and meaningful discourse. Both the topic of foot-binding and the underlying issue of the many ways in which society’s perception of beauty is often projected upon the young are definitely worth exploring at a deeper level.